Editor’s note: Forbes.com contributor Doug Gollan has undertaken an analysis of jet card companies for his new business providing a paid analysis of jet card programs. The first installment compared 18 jet card companies and programs. The second installment compared private jet cards to charter. The third installment is a who’s who in private jet card & prepaid charter. If you’ve been following along in my series of postings about jet cards and prepaid private aviation charter programs, you’ll know that the results of my research cover over 80 programs. If I ever want to get a masters degree, you can guess what subject my dissertation will be about. In the meantime, it’s the source for most of the information I am providing in these articles. That said, there are no rules and regulations of what delineates a jet card from pre-paid block charter. 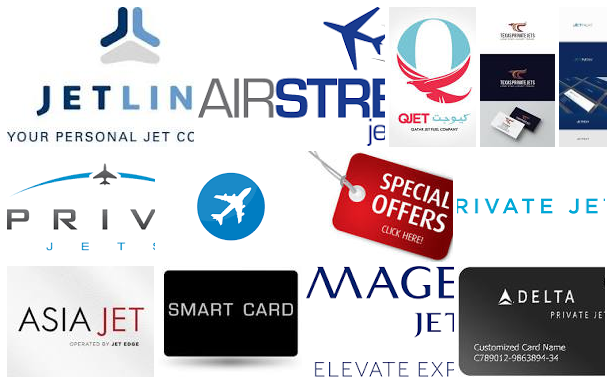 While a number of providers say guaranteed availability at your contracted price is required to have a “true” jet card, the fact is some companies market jet card-like products (They give you a nice plastic card with your name and their logo on it) without it having the guarantee on price and availability together. There are also sellers of prepaid private jet travel I’ve found (VistaJet, as an example) that don’t call their product a jet card, yet do guarantee availability at a contracted price. It’s an important consideration because one reason to fly privately is the convenience of traveling when you want. During holiday periods or just busy days of the week such as Monday mornings or Friday afternoons, guaranteed availability does just that. It also means that the provider may have to go outside its own fleet if it has one, or pay the operator more than you are paying on an hourly basis to secure a plane for you. In other words, it might lose money on that trip, or in other cases, it has already laid out money with an operator to have access to planes when it thinks you will want to travel. Of the research I did, Air Partner, Airstream Jets, Delta Private Jets, Flexjet, Jet Linx, JetSet Group, Magellan Jets, NetJets’ Marquis Jet card, Nicholas Air, Prive Jets, Sentient Jet, Star Jets International, VistaJet, Wheels Up, Wholesale Jet Club and XOJET each provide guaranteed availability, although there are exceptions during peak periods, which is discussed a bit further on in this column. 80% of those using FlightList PRO have arranged charters for more than 10 years, and a full 1/4 – for more than 20 years. Just $90/month for up to 3 users, 30-day free trials are currently available. Of course, that doesn’t mean there is anything wrong with companies that don’t have guaranteed access. They may have other attributes that are important to you, such as lower prices, or in the case of JetSuite, the lowest Daily Minimum I found in terms of flight hours, which they charge for just 48 minutes per day. Other providers have minimums of between 1-2.8 hours of flight time per day. It means if you take a single 45-minute flight on a specific day, with JetSuite you will be charged for 48 minutes of your hourly rate while on another provider it could be 60, 90 or even 168 minutes even though your flight was 45 minutes. If you do a lot of short hops where you don’t have a second flight in the same day, you definitely want to ask about the Daily Minimum. Making it a bit more complicated, Daily Minimums also vary by size of aircraft, with larger planes typically having higher daily minimums. This means if your short haul flying is with a group of 10 people, you are going to need to look at programs that offer larger jets (for example, JetSuite’s Citation CJ3 only seats 7). Another place you will find extra charges is taxi time, so the more flights you make, the more taxi time you will pay. The standard seems to be six minutes for departures and six minutes for arrival, meaning for each flight you take you will be paying for 12 minutes of taxi time. If your hourly rate is $6,000, you will pay $720 for each flight in taxi time. Yet again, this isn’t standard: Airstream Jets, Clay Lacy, JetSet Group and Wholesale Jet Club each say they don’t charge for taxi time. Several companies I contacted wouldn’t provide data about taxi time charges and Jet Linx only charges six minutes per segment, so if you had an hourly rate of $6,000 with Jet Linx, you would only pay $360 per flight in taxi time. Lead time in making reservations is another area to consider and again there are considerable variances. For example, Clay Lacy, JetSuite and PrivateFly don’t have a lead time requirement, but then again, none guarantee availability. Lead time for reservations with other providers varies from six hours with JetSet Group and Wholesale Jet Club (6 hours); Magellan Jets and Prive Jets (8 hours); Delta Private Jets, NetJets’ Marquis Jet Card, Nicholas Air, Private Jet Services (PJS) Group and Sentient (10 hours); and XOJET (12 hours) as the companies I found that offer guaranteed reservations less than 24 hours before you want to fly. During peak periods expect to make your reservations anywhere from 24 hours to 7 days before you want to travel. What is a peak period or peak day? Well, think holidays, however, for those companies that offer guaranteed availability it ranges from eight to 58 days out of the year. Hourly rates for flying on peak days are subject to increases, from no increase to as high as 40%. So again, if you plan to fly at specific busy times, you will want to study what each provider lists as peak days, which sometimes vary by program within a provider. In other words, it is a really good idea that on a piece of paper you write out the trips you expect to be taking during the next 12 to 24 months. I was really surprised when I read a survey by Business Jet Traveler that only 3% of jet card buyers use a consultant. One consultant, I talked to says he charges $3,000 to help with jet card purchases and $5,000 to assist with fractional buyers. If I was a serious buyer, to me, it seems like a good investment. Unless you have an in-house counsel, you’re probably going to have your $600 per hour lawyer spend several hours reviewing contracts anyway. By the way, the typical way people select a jet card is a recommendation of a friend, a previous experience with the company or doing some Google research, which turns up mainly paid ads. I was speaking with one executive of a jet card provider, and his theory is that there is so much to compare and so many differences, it’s overwhelming. The rich person who is plunking down $250,000 more or less assumes or hopes that the company will be accommodating since they want to retain their business with renewals. It’s also a risk, and a provider that works well for a friend or colleague, might not be the best for you. This entry was posted in Private Aviation Industry News and tagged Air Charter News, jet card, Jet Charter, Private Aviation News on April 25, 2017 by FlightList PRO.